Gaeng om, an herbal curry soup from northeastern Thailand, is not your typical Thai curry. It’s not fiery hot. It’s not rich and heavy. And it’s not sweet. Nor is it made with the red and green Thai curry pastes that require lots of ingredients and a good hour spent pounding everything into a paste in a mortar and pestle. Yes, you can buy little jars or tins of these pastes, but they lack the freshness and taste of a truly homemade curry paste. And that’s what I love about gaeng om. There’s only 5 ingredients for the paste – lemongrass, galangal, chiles, shallots and garlic – so you can make it in a fairly short amount of time. And it’s absolutely bursting with flavor. Seriously, doesn’t that look amazing?! Well I promise you it tastes even better. I also love that gaeng om is a very healing, broth-based soup. The combination of the paste dissolved in the broth creates a very fragrant, light, yet complex soup. It’s then loaded with veggies and herbs. Personally, I just love the herbal combination of dill, Thai basil and kaffir lime leaves. Feel free to experiment with other types of herbs and veggies. You could also easily modify this into a vegetarian soup. Or you could use other types of meats in place of chicken. My mission was to expose the diverse world of healthy Thai soups to a wider audience. In my travels in Thailand, I found there were tons of broth-based soups, most gluten- and dairy-free, just like gaeng om, that are relatively unknown outside Thailand. And many are ridiculously simple to make, just like this recipe for gaeng om. Gaeng OM is a medicinal herbal curry soup from northeastern Thailand. It's not a typical Thai curry in that it's not fiery hot, heavy or sweet! Using a mortar and pestle or a food processor, pound or blend the lemongrass, galangal, shallots, garlic and chiles into a rough paste. Bring the chicken broth to a simmer and add in the paste and simmer a few minutes. Add the fish sauce, kaffir lime leaves, chicken (if raw) squash, mushrooms and green beans and simmer about 5 - 10 minutes until the veggies are tender and chicken is cooked. Add the Napa cabbage and simmer 1-2 minutes until it wilts. If using pre-cooked chicken add it with the Napa cabbage. Turn off the heat and add the green onions, dill and Thai basil. Stir thoroughly into the soup. Ladle into individual bowls and add seasonings, to taste. Serve with a side of jasmine rice, optional. 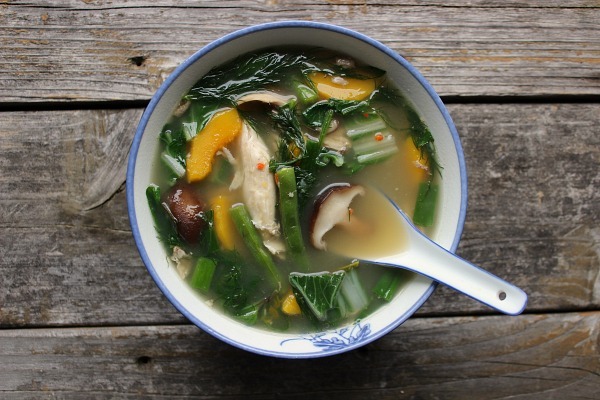 Want more simple, healthy Thai soup recipes? 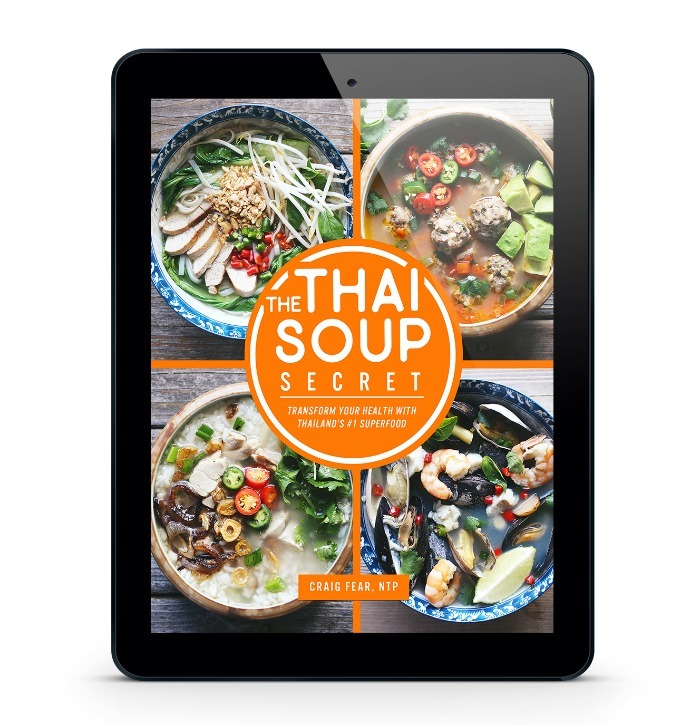 Download The Thai Soup Secret.